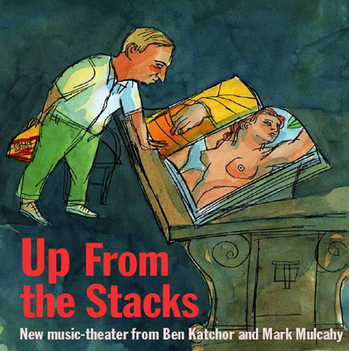 Up From the Stacks is a new music-theater performance by Mark Mulcahy and Ben Katchor, with Ken Maiuri, Dave Trenholm and Brian Marchese. 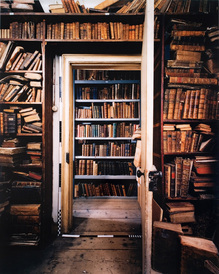 Set in The New York Public Library at Fifth Avenue and 42nd Street and in the environs of Times Square circa 1970, Up From the Stacks is the story of Lincoln Cabinée, a college student working part-time as a page, retrieving books for readers from the Library's collection of 43 million items. 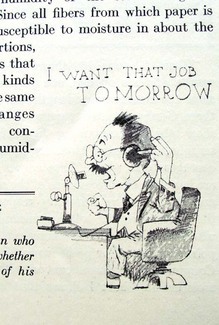 This routine evening job inadvertently thrusts young Cabinée into the treacherous crossroads of scholarly obsession and the businesses of amusement and vice that then flourished in the 42nd Street area. The intellectual life of the city and the happiness of a young man hang in the balance. 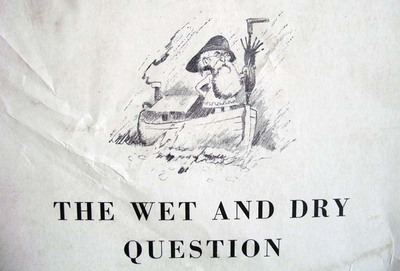 Often when someone buys a new book, the first things they do is throw away the dust jacket or wrapper. Certainly libraries do. This might also help to conceal the subject matter of the book, should your spouse object to particular genres of literature. 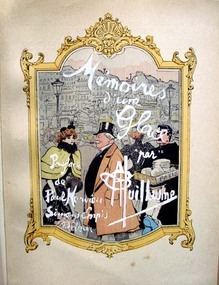 One French collector removed but saved the illustrated wrappers and advertising copy from his book collection. 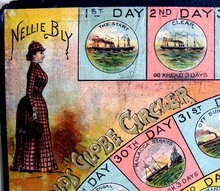 Eventually, the wrappers were bound together and are now in the collection of graphic arts. 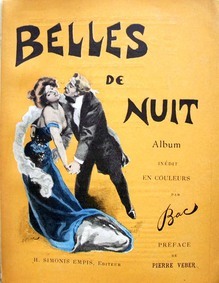 Authors include Guy de Maupassant, Alphonse Daudet, Armand Silvestre, Catulle Mendes, Jules Hoche, Emile Driant, and many others. 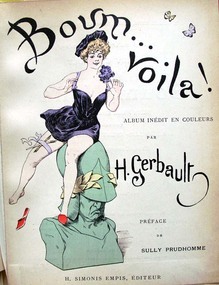 A collection of over 200 French illustrated wrappers and publisher’s specimens (Paris, 1882-1907). Graphic Arts 2011- in process. Ludvig Holberg (1684-1754), Niels Klims underjordiske reise, oversat efter den latinske original af Jens Baggesen (Kiöbenhavn [Copenhagen]: Johan Frederik Schultz, 1789). Graphic Arts Collection (GAX) 2004-3316N. 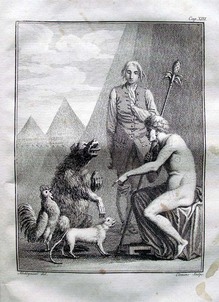 First published in Latin as Nicolai Klimii iter subterraneum (1741) by the Norwegian-Danish author Baron Ludvig Holberg (1684-1754), this deluxe edition has a Danish translation by the poet Jens Baggesen (1764-1826). 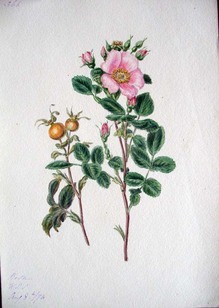 The volume is illustrated with etchings by the Danish Royal engraver Johan Frederik Clemens (1749-1831) after drawing by Nicolai Abraham Abildgaard (1743-1809). 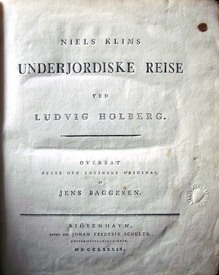 Holberg’s novel describes a utopian society discovered by Niels Klim when he accidentally fell into a hole in the earth’s crust. He finds an underworld where trees are alive and the rules are different. 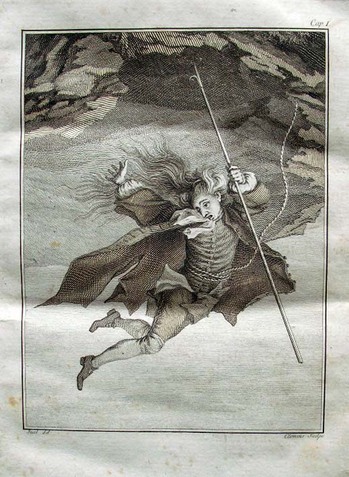 Nicknamed “overhasty” because he moved so much faster than the trees, he becames the King’s messenger and visited twenty-seven different provinces, not unlike Swift’s Gulliver. 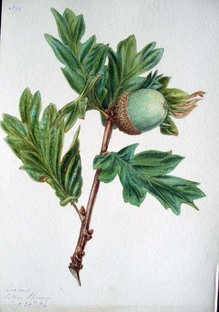 Ovid (43 B.C.E.-17 or 18 A.D.E. 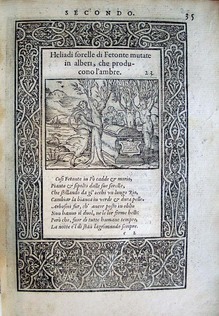 ), La vita et Metamorfoseo d'Ovidio, figurato & abbreuiato in forma d'epigrammi da m. Gabriello Symeoni ([Lyons, France]: Giouanni di Tornes ... , 1559. Graphic Arts Collection (GAX) 2005-0147N. 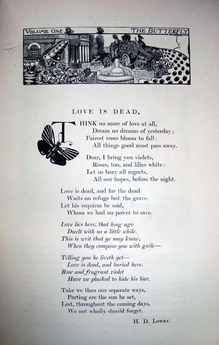 This copy is from the printing collection of Elmer Adler (1884-1962). 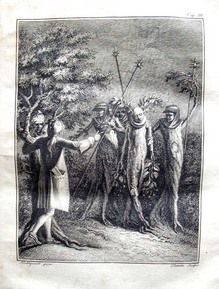 In 1557, French artist Bernard Salomon (ca. 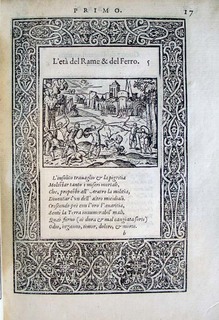 1508 or 1510-ca. 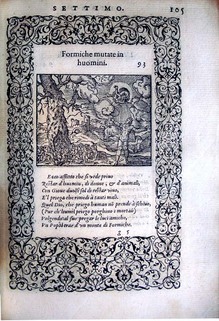 1561) created 178 woodcuts for a new translation of Ovid's Metamorphoses. 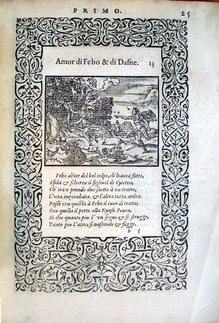 Ten of the cuts from this series, according to Ruth Mortimer, first appeared in Clement Marot's translation of Ovid in his Oevvres (1549) and a few in various other books. 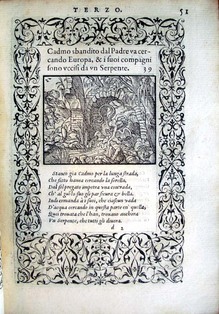 Two years later, an Italian version by Gabriele Simeoni (1509-1570) was published in the same manner, with Salomon's woodcuts, Simeoni's verse legends in italic letter, and ornamenteal borders throughout. 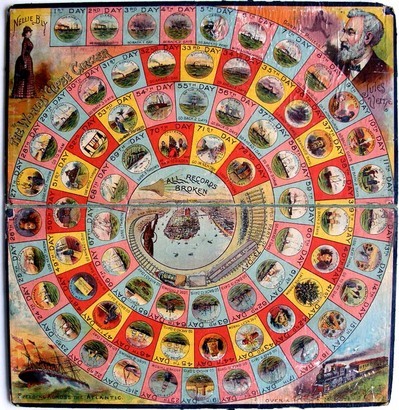 With six of the earlier blocks omitted and fifteen new subjects included, the total number of illustrations is 188. 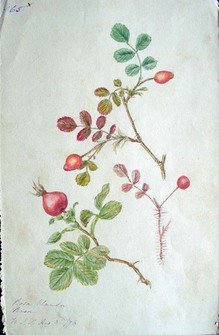 The Oxford Dictionary of Art gives a brief biography: "French painter, draughtsman and engraver. He was probably from a family of belt-makers in Lyon. He was involved as a master painter in the ephemeral decorations for the ceremonial entries of the Archbishop of Lyon in 1540, of Henry II in 1548 and of the Maréchal de Saint-André in 1550. 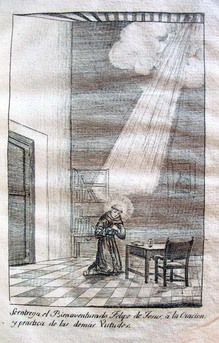 He designed numerous plates for booksellers in Lyon and probably also engraved them. 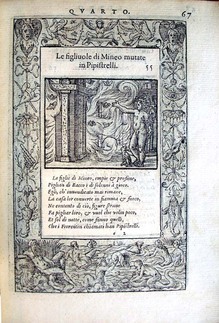 His vignettes for the Fables d'Esope (1551), the Quadrins historiques de la Bible (1553, 1555), the Figures du Nouveau Testament (1556) and the Métamorphoses d'Ovide figurée (1557) were inspired by the elegant Mannerist art of the Fontainebleau school; they became models for engravers working in Lyon and were widely distributed and copied." 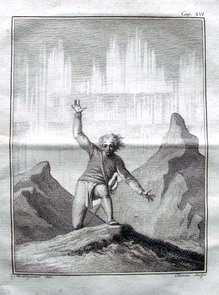 This is one of ninety-six lithographs created and published under the series Recueil de grimaces (A Collection of Grimaces) between 1823 and 1828. 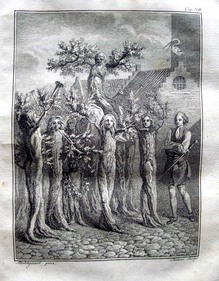 A copy of this print, along with several other Boilly caricatures, is included in the current exhibition at the Metropolitan Museum of Art, Infinite Jest: Caricature and Satire from Leonardo to Levine. One of the Grimaces is also on the cover of the excellent catalogue written by our colleagues Constance McPhee and Nadine Orenstein. 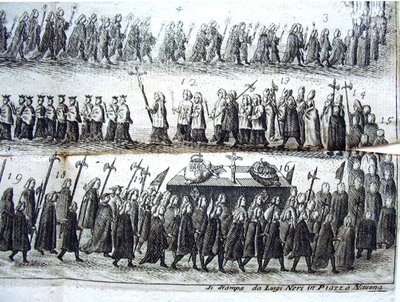 Boilly’s Grimaces were created and sold in separate sheets rather than bound or in portfolio and so, they are usually not recorded in databases such as OCLC. 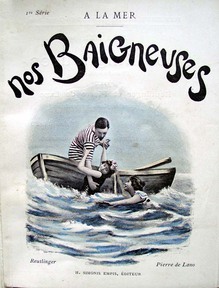 While these prints were extremely popular and sold well, complete sets are very rare and to my knowledge, the Bibliotheque Nationale de France is the only institution with all ninety-six. 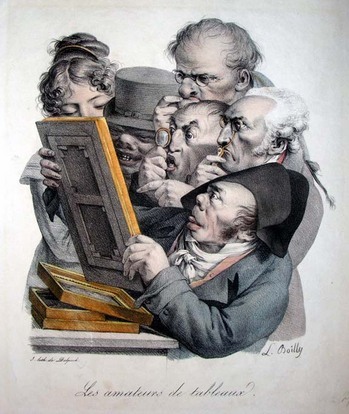 For more information about the artist, see Louis Boilly (1761-1845), Grimaces, Léopold Boilly, 1994. 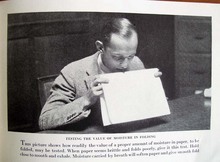 Marquand Library (SA), ND553.B4 D445 1994q. 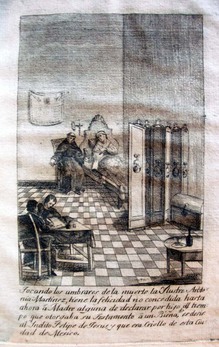 Louis Boilly (1761-1845), L.-L. Boilly, peintre, dessinateur, et lithographe; sa vie et son œuvre, 1761-1845, 1898. 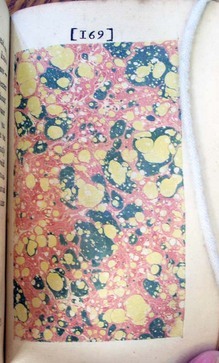 Marquand Lib.ND553.B4 H24. Louis Boilly (1761-1845), Louis Boilly, 1761-1845, 1984. 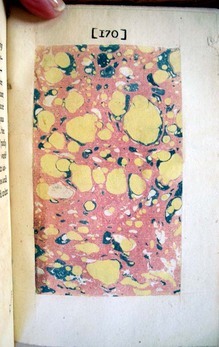 Marquand Library (SA) ND553.B4 L68. 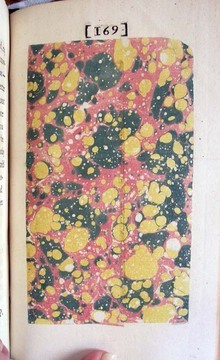 Laurence Sterne insisted on including a sheet of marbled paper within his novel Tristram Shandy, hand-set into volume three, usually p. 169. 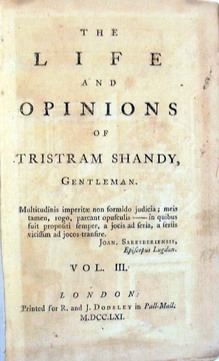 He called the paper “the motly emblem of my work.” Of the 4,000 copies of the first edition published, Princeton University owns seven, each issued in nine volumes from 1759-1767. 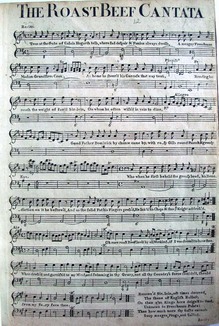 Volume three, Shandy is born, came in 1761. 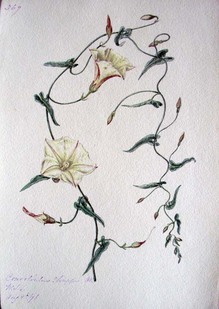 To celebrate this occasion, 169 artists and writers have created a one page emblem of themselves, now in the exhibition The Emblem of My Work, at Shandy Hall, Coxwold, UK (see: www.emblemofmywork169.blogspot.com). For better or worse, it’s up to you and me to match the name of the artist or writer to his or her work. Can you match the emblem to the artist? 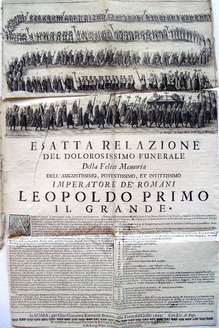 This small bifolio and broadside commemorate the funeral ceremony for Leopold I (1640-1705), Holy Roman Emperor (1658-1705), King of Bohemia (1656-1705) and of Hungary (1655-1705). 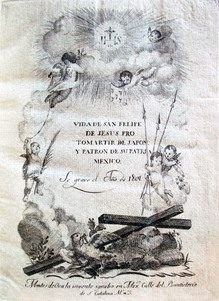 The life of San Felipe de Jesus (1572-1597), patron saint of Mexico City, is presented through thirty engraved plates in this early graphic narrative. 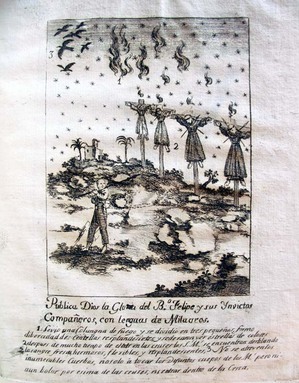 It is, in fact, the earliest all-engraved book to be published in Mexico and tells its story through images, with only brief engraved comments below. In 1596, twenty-six passengers sailing from the Philippines to Mexico were shipwrecked off the coast of Japan. 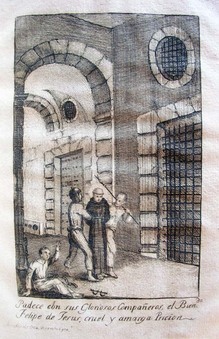 San Felipe, a Franciscan monk, was captured, tortured and killed, along with his fellow passengers. 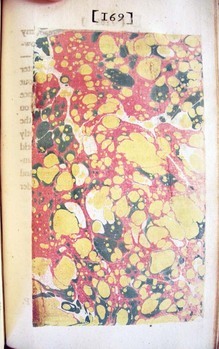 The first fourteen plates of this volume depict his life before reaching Japan, the next eight his capture and death, and the final six show events after his death. Rubén Gallo, Director of Princeton University’s Program in Latin American Studies, notes in his paper on “Orientalism in Mexican Art” (Conference in Wroclaw, Poland, June 1999), that San Felipe’s death at the end of the sixteenth century marked the beginning of a period of orientalism, the product of a curious incident that culminated in the canonization of Mexico’s first martyr. My thanks to Dorothy Sloan for leading me to this citation. 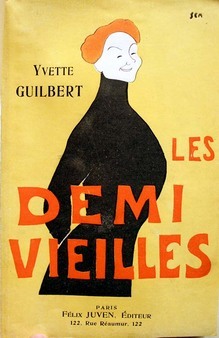 George Barbier, “Eventails,” from his Le bonheur du jour, ou les grâces à la mode, ca.1924. 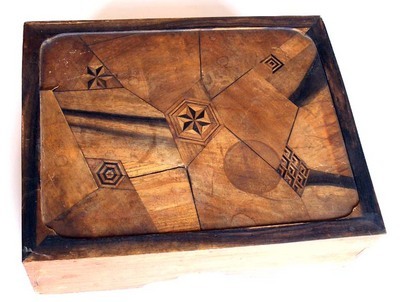 The Charles Rahn Fry, Class of 1965, Pochoir Collection, Graphic Arts Collection. 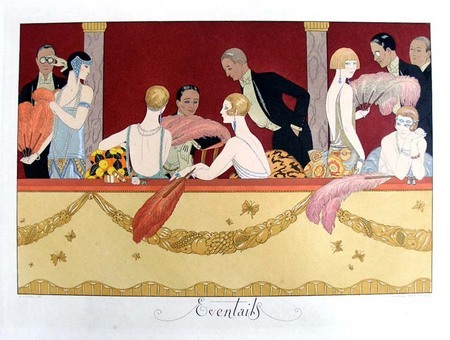 In 1997, John Bidwell (former curator of graphic arts) arranged the acquisition of the Charles Rahn Fry Collection, holding significant work by artists who specialized in the pochoir technique, preeminently Robert Bonfils, Georges Lepape, and George Barbier. 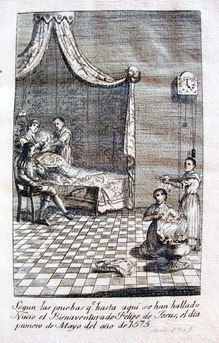 The French designer, architect, and engraver Jean Bérain, the elder (1640-1711) has been credited with being one of the creators of the Louis XIV style. 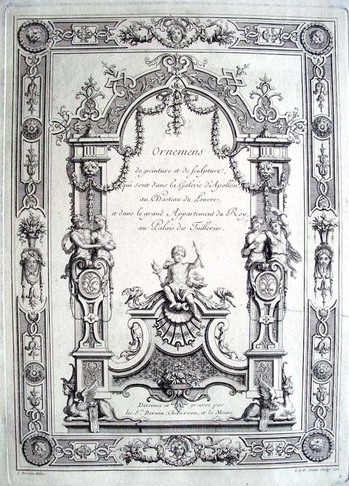 His drawings of the wall and ceiling ornaments of Galerie d’Apollon in the Louvre and those for doors and wall paneling of Louis XIV’s apartment in the Tuileries were published under the title Ornemens de peinture et de sculpture (ca. 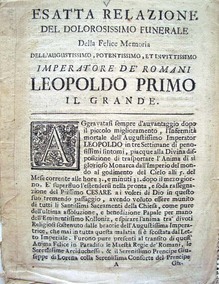 1710). 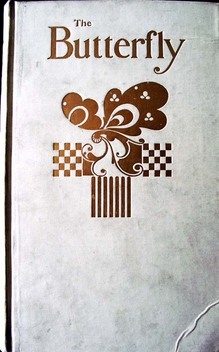 The large folio volume included an engraved title page and twenty-eight engraved plates. 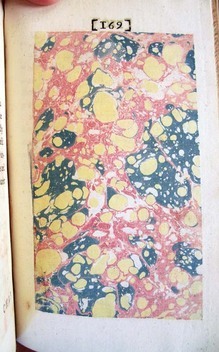 An incomplete, unbound set is in graphic arts. 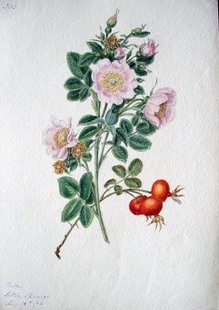 These designs have been alternately ascribed to Bérain, the elder, and to his son, Jean Bérain, the younger (1674-1726). 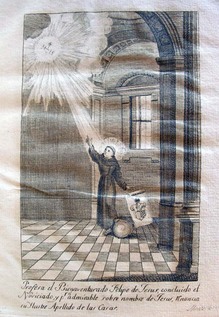 What is clear is that the Bérains engraved eleven of the plates themselves and had the rest done by a series of French printmakers. 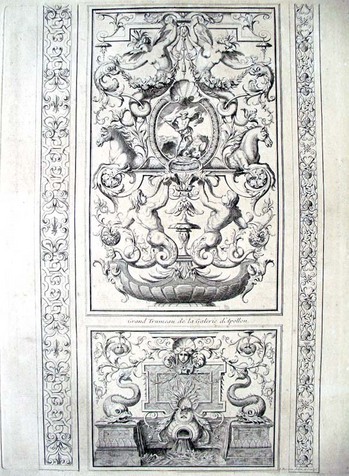 François Chauveau (1613-1676) engraved thirteen, Jean Lemoyne (sometimes spelled Le Moine, 1638-1715) engraved four, and Gérard Jean-Baptiste Scotin (1671-1716) is responsible for the title page. We will see if they hand out paper programs on the days of the event. 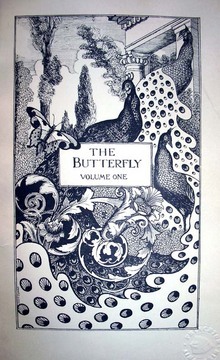 In 1897, Grant Richards (1872-1948) opened a publishing house on 9 Henrietta Street in Covent Garden, London, using his name as the imprint. 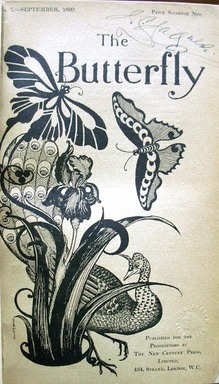 He published works by G. B. Shaw, A. E. Housman, G. K. Chesterton, Alfred Noyes, John Masefield, Hector H. Munro (Saki), Arnold Bennett, and Maurice Baring, among others. 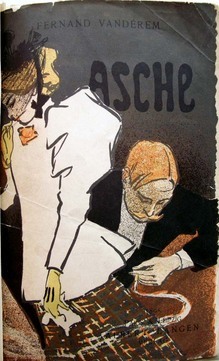 S. H. Sime, and Joseph Pennell, among others. 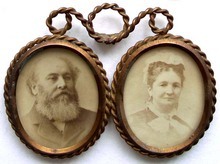 (above) Mary Lind White (1810?-1883) and her husband James White (1809-1883). 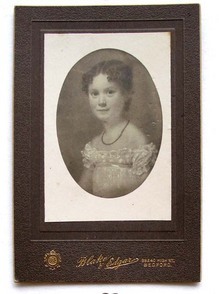 (left) Mary Lind, later photograph of a painting of the artist age 6. 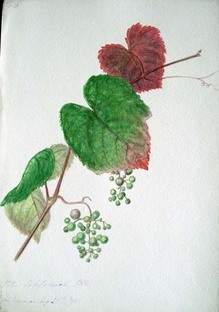 In 1968, Princeton acquired a collection of nearly 600 botanical watercolors by the British artist Mary Lind (Mrs. James) White made in 1876 during a trip through the United States to China. Her great granddaughter, Lady Berwick of Attingham Park, Shrewsbury, facilitated the acquisition with our curator of Western Americana Alfred Bush. 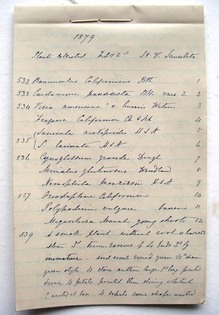 In a letter to Bush, Lady Berwick writes, “I am delighted to hear that you are pleased with the collection of botanical studies of Californian flora by my great grandmother Mrs. White (née Lind). I wish I could tell you more about her life and travels—all I know is that her husband Mr. James White had a business as a China merchant (teas, etc.) and he took his wife on journeys to China and America, though as they had a family of three or four daughters and five sons, it must have been difficult for her to get away. 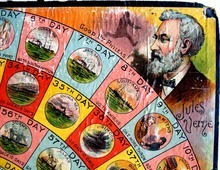 James White was indeed part of the English Liberal party in the House of Commons between 1857 and 1874. 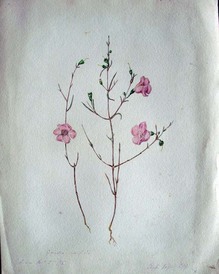 Many of Mary White’s watercolors are dated August 1876 and the box includes a handwritten list of every plant dated 1879, presumably written after she had returned home. 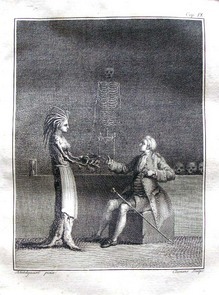 The British caricaturist James Gillray drew this printed to commemorate the beheading of Louis XVI (note the crown on the guillotine’s blade). 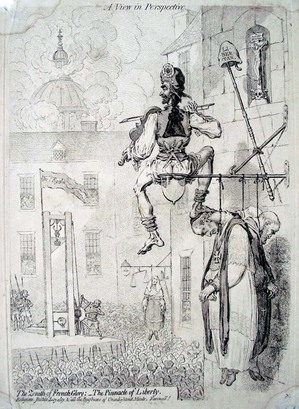 Beneath the title is written “Religion, Justice, Loyalty, & all the Bugbears of Unenlightened Minds, Farewell!” A sansculotte (sans-culottes, without the knee-length pants that were fashionable) is perched on a lamp post fiddling, one foot on the hanged body of the bishop. His cap says “Ca ira” (It will be fine), the song of the working class radicals of the French revolution. This just happened to be on my desk when I returned after the hurricane. 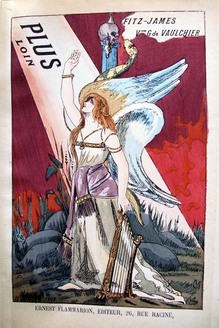 During the 1910s and 1920s, the S.D. 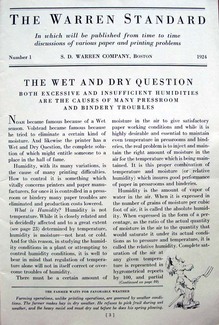 Warren Company produced a number of small brochures and instructional booklets to promote its papermill. 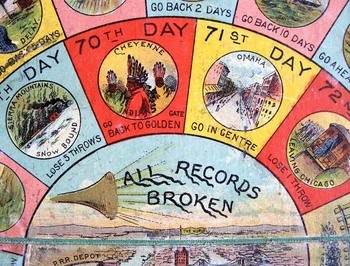 Many were designed by Boston artist W.A. 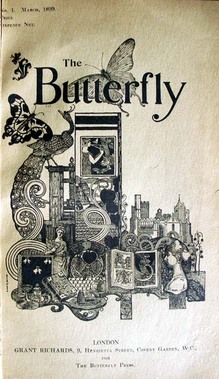 Dwiggins (1880-1956), although not the one illustrated here. It is interesting that although trying to be helpful, Warren was the first American paper company to use wood fibers in their products. From wikipedia: "S. D. Warren Paper Mill is a small mill built on the Presumpscot River in the 1730s. . . . 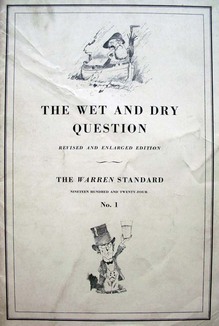 In 1867, Warren decided to add wood fibers with rags fibers for paper, making it the first mill in the United States to do so . . . By 1880, the mill produced 35,000 pounds of paper per day. After S. D. Warren's death in 1888, the mill continued to grow through the 20th century, employing close to 3,000 Westbrook residents."